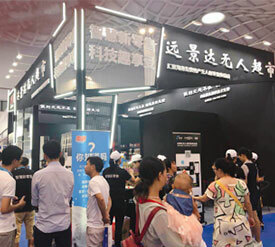 The 2nd Hainan International Hi-Tech & Industry and Innovation Expo 2018 was re-established at the Hainan International Convention and Exhibition Center. This is the first comprehensive collection of high-tech results display transactions, high-level forums and project investment in Hainan Province. 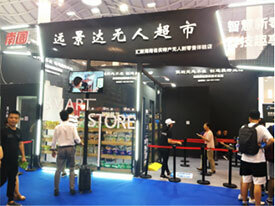 In the Hall C, a closed, cool Nanguo Smart self-service store attracted many guests. 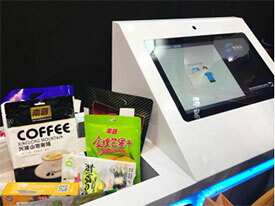 In Nanguo smart store, you can enjoy self-service shopping. It has French Windows design in the front, and the entrance is not the traditional key mechanical lock, but a smart access control door with mobile QR code scanner and face recognition technology. In the unmanned store, each snack bear RFID label. For payment, customers only need to put the merchandise in the sensing area and the computer screen will show the price. Customers scan the Alipay or Wechat payment QR code on the screen to finish payment. At the exit, by scanning QR code or face recognition, the door will open and customers can leave. Then sensors will detect the merchandise bearing barcode automatically. When detecting unpaid merchandise, the alarm bell will ring automatically, and the exit door won’t open. 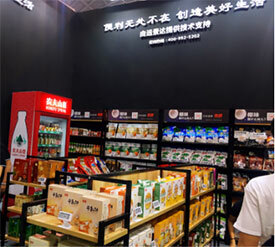 The brand-new shopping style and high tech application attract many people to experience unmanned store, which is a highlight of the exhibition. Nanguo with Rakinda, Ushering new retail store! In recent years, smart stores have gradually appeared in different industries. 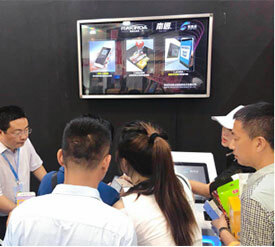 This time, Nanguo smart store has incorporated numerous hi-tech technologies and assembled overwhelming black technologies such as cloud computing, big data, mobile payment, RFID, and AI, so that consumers can be excited in the future technology. With the help of Rakinda, Nanguo smart store becomes a perfect combination of traditional retail and high technology. It is a new retail model combined online services, offline experiences with modern logistics. The digital transformation of traditional food companies has never gone ahead smoothly. In the new retail era, smart stores will become the representative example for the transformation of traditional food companies.